Having pursued a successful career in tennis, Tony reverted to his first love, gardening, and in 2000, set up his own landscaping business, Hortus infinitus. His intention was to explore the possibilities within horticulture, art and design. Over a decade later his business is indeed very diverse and Tony enjoys a wide range of projects from small suburban gardens to large scale corporate commissions. In addition to this, his enthusiasm and energy for the annual RHS shows has provided many opportunities to create conceptual art installations, show features as well as show gardens. It was in 2005 that Tony exhibited his first show garden at Hampton Court Palace Flower Show, entitled A Sensory Garden Classroom. This resulted in commissions to design outdoor learning environments for schools across the south east. It was the newly formed conceptual garden category that drew Tony back to Hampton in 2007. His garden, In Digestion, was followed in 2008 with Ecstasy in a Very Black Box, both of which won RHS gold medals and Best in Show awards. In May of this same year saw Tony’s debut at The Chelsea Flower Show with the show’s first ever art installation: More Questions Than Answers. By this time Tony was earning a reputation for his intellectual, innovative and provocative designs, combining artistic integrity with a rigorous attention to detail. In 2009 Tony created show gardens at Chelsea, Hampton Court and Tatton Park for Quilted Velvet, resulting in a further two gold medals. 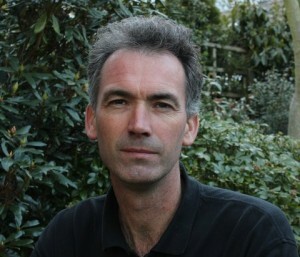 The following year Tony was approached by Easigrass to design an urban garden for Chelsea. Against all odds a design with artificial grass was accepted and The Urban Plantaholic’s Kitchen Garden achieved a Silver Gilt. In 2012 another design for Easigrass, Green with… won the coveted Gold Medal and Best in Show award. It was in 2013 that saw Tony’s art moving beyond the confines of flower shows into the wider world. Tony was commissioned firstly by Heathrow Airport to celebrate the Centenary of The Chelsea Flower Show and National Gardening Week, followed by a Centenary installation at Chelsea entitled Unsung Heroes. In addition to this Tony has exhibited pictures, sculptures and installations at various London galleries. More recently, in 2014, Tony was awarded Gold and Best in Show at Gardeners’ World Live for his Cocoa garden. He also instigated a well received turf sculpture competition at Hampton Court, bringing together well known artists and designers, to create spontaneous pieces of work.